“Faena Festival: This is Not America,” is keyed to Miami’s enduring role as a port that welcomes migrants, refugees, and tourists from across the US and the Americas, and from countries throughout the world. 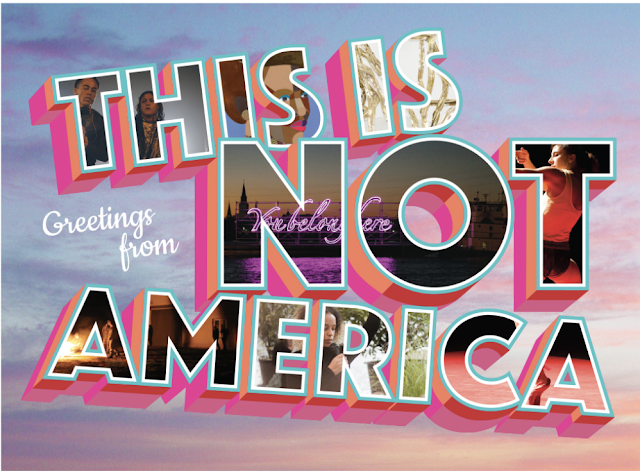 This is Not America proposes a new curatorial format for presentation that occupies and engages the entire Faena District and extends beyond into public spaces of the city of Miami Beach as an experiential platform. The diverse venues of the Faena District Miami Beach will be activated, including the public areas of the street, sidewalk and beach; the Faena Hotel, including its theater and screening room; and Faena Forum – the OMA-designed cultural centerpiece of Faena District Miami Beach. Sazoneros! Can you believe Art Miami is returning for its 29thyear? They also released their 2018 exhibitor list in case you'd like to check it out on their website. Art Miami will be showcasing iconic art works, dynamic projects and special installations from more than 160 international galleries from nearly 30 countries representing 68 cities. How exciting! This year’s fair will start with a benefit for the Perez Art Museum Miami (PAMM); a Platinum VIP Preview for top collectors, curators and members of the press on Tuesday, December 4th, from 4:30pm – 5:30pm. This is the eighth consecutive year that PAMM and Art Miami museum worked together for the VIP Preview benefactor. Art Miami has donated more than $150,000 to further PAMM’s collection and mission.